When you're self employed quiet times can be... interesting. That's putting it politely, they can actually be pretty terrifying and leave you in a cold sweat and in my case staring at my phone in desperation for that kerching noise to let me know someone has made an order through my Etsy shop. I'm normally a wreck and this year has been going so much better than previous years when it comes to orders and revenue that I've known that a lull was on its way and for once I was determined to not let it turn me in to a quivering wreck. So this time when my shop went quiet I decided to not let it hurt me. I don't really like being ruled by my phone and I know the watched pot never boils! This week was the beginning of a quiet period for me, I do have a commission on the go but other orders have slowed right down so I've thrown myself in to the commission and getting in to a few projects that have been put on hold lately. I've also got my green fingers out and have been doing a lot of gardening! I was desperate for some plants again so I now have a glorious amount of green outside my front door! Working with my hands in the fresh air and sun has done so much good for me and I found myself leaving my phone inside whilst I was busy, only checking it periodically and oh gosh! It was brilliant! I never realise when I'm getting obsessed with my phone and social media so this has been so refreshing and has cleared my head so much. 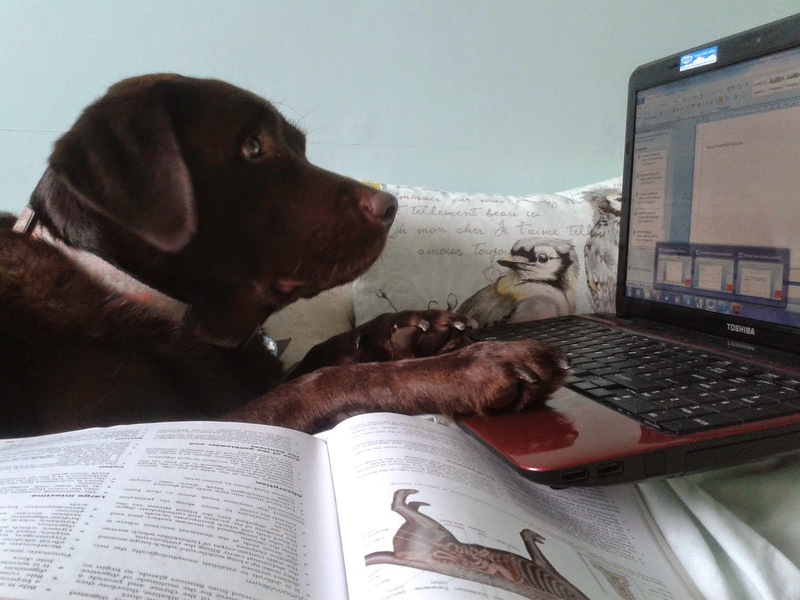 But of course that doesn't mean I haven't been working! There are new products up in the shop right now and I'm currently working on some covers for some larger notebooks and working on my Astrid the star rat zine that I'm hoping will be going live very soon! Along with the zine I'm also going to be offering prints of some of the artwork used in the zine, these will also have some beautiful gold details on the stars to add an extra something. Of course, work is quiet with orders but I'm still working insane amounts so in reality my "quiet" time has actually been quite productive unlike previous times where I'm just sitting around waiting for orders whilst stressing myself silly. Of course I do get tense at these moments and life has been a bit crazy this week but this side of things has been nice. I've been doing things for myself and not focussing so much on the world around me. I highly recommend getting away from your screens if you're going through a quiet patch. The thing is things will pick back up but if you spend the time waiting and being stressed you miss out on a nice little break to work on lots of things you've been meaning to work on and some nice short work days where you can enjoy breathing! This is just to give an update to anyone who is wanting orders and pet portraits for the end of the month. Next week from the 19th I will be extending my dispatch times due to me taking the first holiday ever since starting my shop! It's my birthday on Saturday 21st and my partner has taken a couple of days off from work so we can enjoy a little break together and celebrate my birthday without me twitching and spending my time at the desk or post office. Times will be extended between April 19th and April 25th. Orders can still be made during this time but please bear in mind that they will not be dispatched until April 26th. I will not be working between these dates so if you are wanting a pet portrait now and would rather not wait then please make your orders now so I can have them done and sent out before my time off. If you don't mind an extra wait then you don't have to worry. I will of course still be active on social media over this time and will be available to contact via Etsy or my email or even DMs via instagram so if you contact me I will reply. 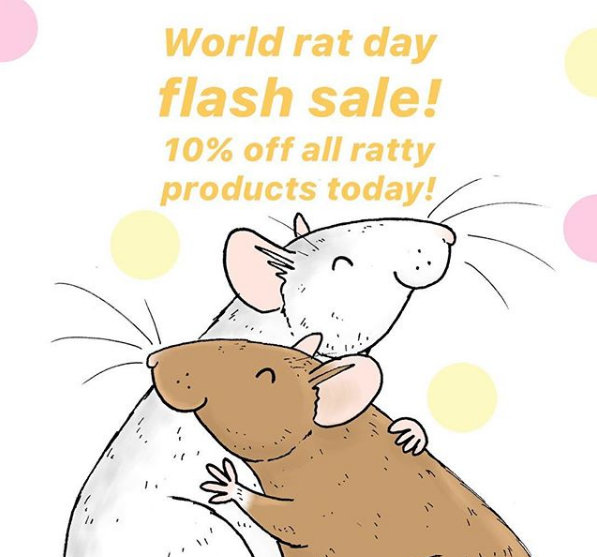 World Rat Day Flash Sale! To celebrate I'm having a flash sale in my Etsy shop on all ratty products (excluding pet portraits). 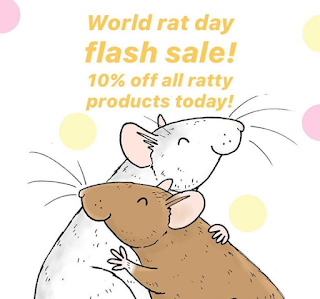 For today only (4th April) there will be a 10% discount off! 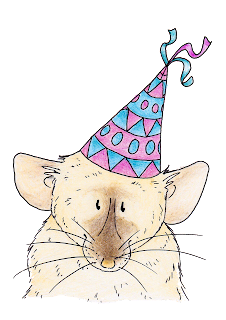 So why not go celebrate today with some ratty goodies by clicking the link below!! After a lot of plotting and planning and test prints and cuts I can proudly say these are now available to buy in the shop! Each pack is made up of 10 stickers. 4 larger size that measure around 4cm and 6 smaller size that measure around 3cm. Colours vary with each pack and they include a selection of cute ratties! Top ears, dumbos, rexes and hairless rats can be found. A great addition to any ratty lovers stationary collection and great for adding some ratty love to items that may be lacking a bit of mischief! Sticker packs are £2.00 (not inc P&P) and you can get them here! In the works at the moment are a couple of new products, one is a tiny ratty notebook that I'm hoping will be ready soon! I'm having fun sourcing some good paper for the pages and a decent stapler that doesn't drive me insane... it's a long story! I'm also working on a new zine that is taking a little bit longer than I was expecting but the extra hours will be worth it. 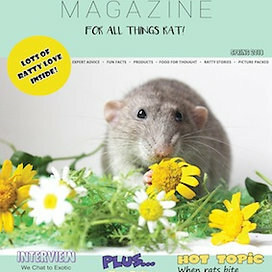 This zine is more of a picture book style zine featuring Astrid the star rat. The writing is all ready, the layout is all ready and I just need to get the paintings finished so that they're ready for making in to a little book of cuteness! Mothers day is growing ever nearer here in the UK (It really is one thing after the other at this time of year huh!) and here at Silly Badger Designs we love to celebrate! So here's a small selection of gifts and cards for those awesome mums! 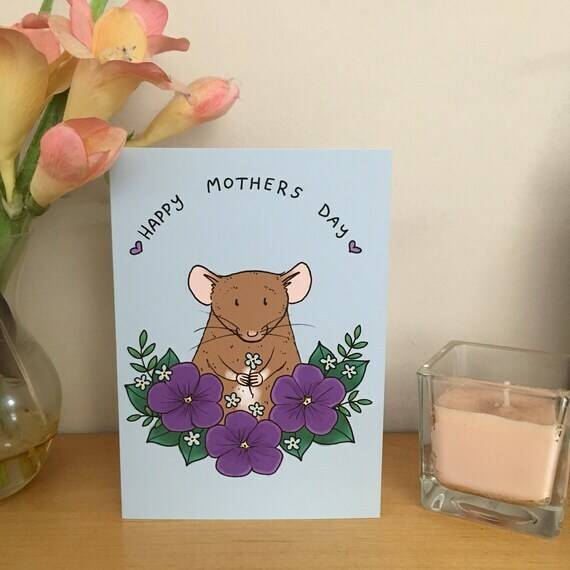 For the ratty loving mums I have a few fun designs from rat art prints and this NEW mothers day card! This card features a cute ratty based on one of my past ratties, Poppy. She's surrounded by African Violets and Forget-Me-Nots, two of my favourites. 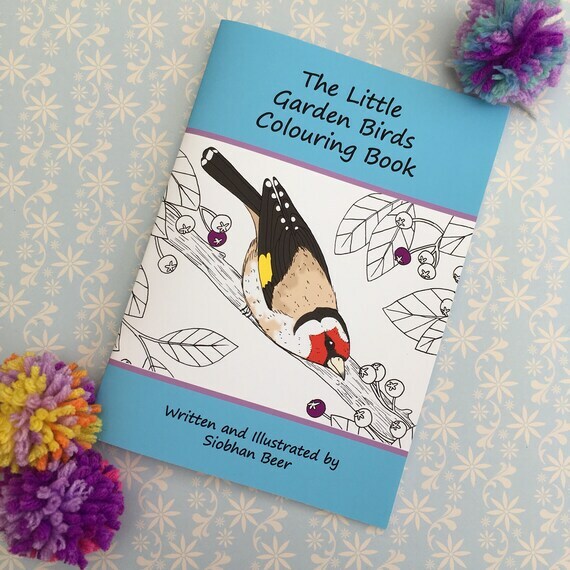 A cute little colouring book written, illustrated and bound by myself. This fun little book is filled with 5 illustrations of common garden birds and a little write up for each species. A great gift for any bird lover, made by a bird lover! 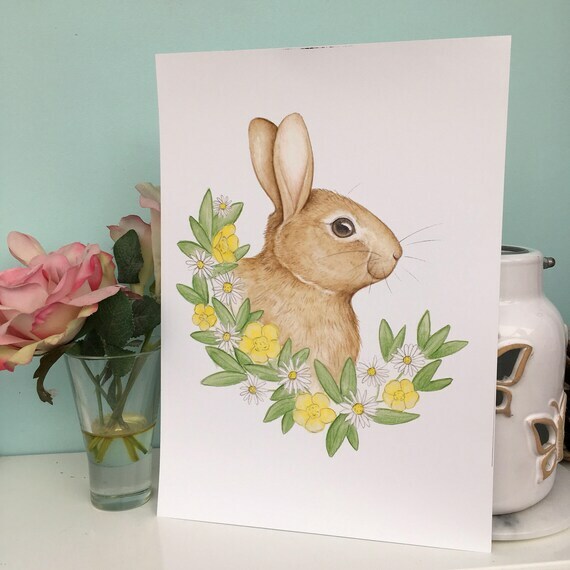 One of many of my wildlife art prints, they come in 3 different sizes so they can suit all budgets and wall sizes, a great spring gift to brighten up a home ready for the flowers to pop up! 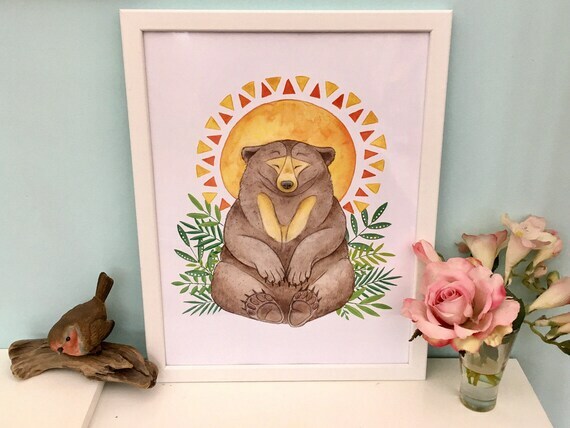 Brighten up any Mama Bears home with this gorgeous print of my sun bear painting. Made to represent the sun rising and the start of something new is great for spring and who can resist her calm face? And for the Pet Lovers! 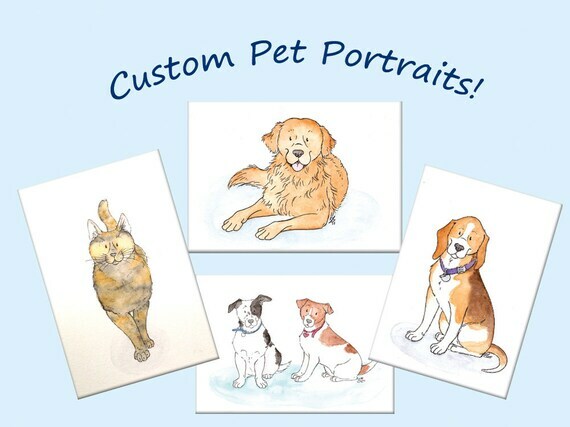 A great gift can be having a portrait made of a well loved pet! Portraits are available in 3 sizes and can suit all budgets. A great way to spread some love! Please note pet portraits take time to make, orders for these to be ready for Mothers Day need to be made by Wednesday 28th February. So there we have it! A few gift ideas to play around with!